Been having some trouble trying to upload a video clip from YouTube to Instagram. Anyone know how to do it? 1. Videos are taking forever to download. Generally, it takes as long as 1 minute to download 1 60-second music video from YouTube. 2. Internet connection is required for each video download. 3. You have to post YouTube video to Instagram within 60 minutes. Or else, it will be deleted. 4. Huge queue or loading problem will be caused, if there are too many users visiting the site. 5. YouTube videos are stretched when they are uploaded to mobile for Instagram. 6. There is no more editing options than dragging the slider. 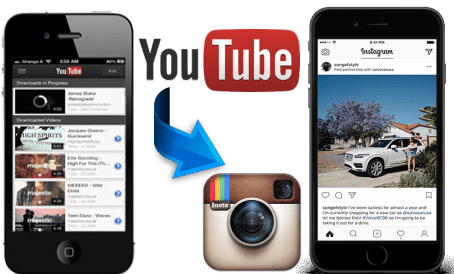 No more perplexed by the Tube2Gram not working errors, in the guide, you will learn how to post YouTube videos on Instagram with success with the best YouTube to Instagram converter software. 1. Download 4K/HD videos from 300+ sites, from YouTube to Instagram, Vimeo, etc. 2. Convert YouTube video to Instagram format MP4. 370+ codecs and 410+ profiles. 3. Adjust video bit rate, resolution, codec, frame rate, etc to suit Instagram settings. 4. Edit video before uploading to Instagram, like trim/crop/merge/rotate videos. Unlike online YouTube downloader for Instagram like Tube2Gram that requires network connection, throws you extras such as extends, ads, malware, or so, the desktop YouTube to Instagram converter - MacX Video Converter Pro is 100% clean and stable Instagram video converter. It can download 4K/HD videos from YouTube of any resolution 2160p, 1080p, 720p, 480p, 360p and convert the downloaded videos to MP4 with the video duration and size perfectly suiting the Instagram video settings. Frame Rate: 29.96 frames per second, 30fps max. MacX YouTube to Instagram converter is built in 370+ codecs, allowing you to convert high-definition MKV, MTS, AVCHD, MOD videos, standard MP4, WMV, AVI, FLV, WebM, and even the new standard HEVC video to MP4 H264 that Instagram accepts. The 410+ readymade profiles facilitate you to directly convert videos to fit your mobile screen without tweaking the parameter settings. You have to bear in mind Instagram only accepts video up to 1080p. If you happen to save some 4K Ultra HD videos on your hard drive but want to upload them to Instagram, to compress 4k to 1080p for smaller file size is deemed as indispensible with the YouTube to Instagram video converter. Just follow the steps below to download and get YouTube video onto Instagram. 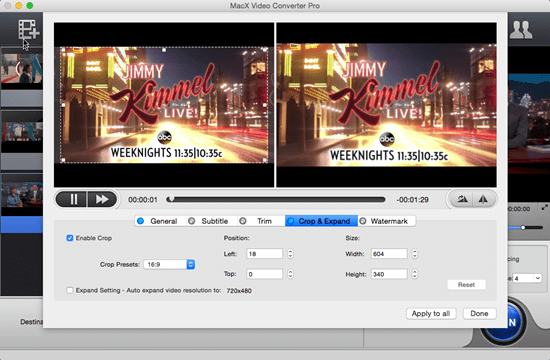 MacX Video Converter Pro works well with both Mac and Windows version. It has seamless compatibility with even the latest macOS High Sierra and Windows 10. You can choose the specific version as per your needs. 1. Go to YouTube to find the video you want to download and copy the url of the YouTube video. 2. Launch the YouTube to Instagram converter and click the YouTube URL to fire off the YouTube downloader. 3. Paste the YouTube url into the address bar and tap Analyze button to let it automatically fetch the video information, incl. codec, resolution, format, and size. 4. Select the video you want to download and click OK to begin the downloading. Note: Make sure the Auto Convert is checked as this will allow convert the downloaded YouTube to the format you like. Generally it is checked by default, so leave it unchanged. After the YouTube downloading, a device profile window will pop up, where you can go to the General Profile and choose MP4 H.264 as the output format for a successful video uploading to Instagram. Note: You can even downscale 4K to 2k/1080p/720p to reduce the file size for Instagram. Click the Edit button to launch the video editing window, where you can click Trim on the main interface of the YouTube to Instagram converter to clip out unwanted segment of the video and just leave 30-60 seconds of the video you want by setting the start time and end time or move the slider below the video window. In the video editing option, you can crop the black bars, chance the aspect ratio from 4:3 to 16:9 or 1:1, adjust the volume, and add subtitle to the video. Then click Apple to All to confirm the changes. Click the wheel-shaped button on the main interface. Then you can choose the codec H.264 that Instagram recognizes, up the frame rate to 29.96 fps, convert video resolution to 1080p or below, etc. You can click Browse to save the output file in the destination folder and then tap RUN to start to convert it to Instagram format, after which you can post YouTube video to Instagram. For Mac and iOS users, you can turn to iTunes to sync video from Mac to iPhone iPad. But this will happen at the risk of data erasing. 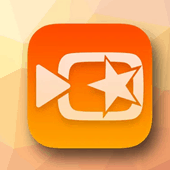 Or free download MacX MediaTrans, a good iTunes alternative, it achieves fast video transfer and even convert unsupported video to iDevice format without data loss. 1. Connect iPhone to Mac with a USB cable and launch the data transfer software. 2. Click Video to kick off the video transfer feature. Add the YouTube video to be synced to iPhone. 3. Click Sync to transfer YouTube video to iPhone from Mac. Open the Instagram app on your iPhone. Tap on the Library at the bottom and select YouTube video, then you can upload YouTube video to Instagram. Except for the desktop tool and online Tube2Gram site to convert YouTube video for uploading to Instagram, there are still many great websites that are equal to put out videos from YouTube to Instagram. Below are just the top ones for you to get these YouTube clips on Instagram. The Youtube to instagram app is actually a free video editor that can share YouTube videos on Instagram from your iOS devices. It is equipped with 1000+ video effects, covering themes, music, stickers, facial effects, GIFs, filters, etc, allowing you to capture, crop, cut, merge and trim YouTube videos to upload to Instagram, Facebook, Whatsapp, etc in just a fingerprint. Aside the YouTube to Instagram app on iDevices, there is an Android version that lets you post YouTube videos on Instagram on your Android phone. 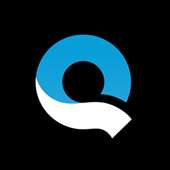 Quik is another great YouTube to Instagram app that makes it a snap to put YouTube videos on Instagram. As a professional video editing app with 23 video styles, it works with magic and lets you add beautiful transitions and effects to YouTube videos. You can also convert YouTube videos to Instagram MP4 format automatically and then share the videos to Instagram without problem. 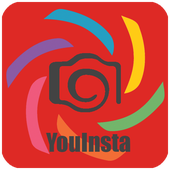 The app to post YouTube videos on Instagram is available on the Play store. It features the ability to convert YouTube videos to Instagram automatically and directly share YouTube videos to Instagram app. The process is pretty simple - just install the app, find out the YouTube video you'd like to share on Instagram, tap on Share via Instagram button. Then the YouTube videos will be uploaded onto Instagram. You can try MacX Video Converter Pro - download 4K/HD/SD videos from YouTube and 300+ sites, and convert video to MP4 that Instagram accepts. Also support trimming, cropping, cutting, merging videos and adding subtitles to Instagram video for posting without problem.